At Physicians Urgent Care, we’re different than most walk-in clinics. In fact, we can handle the majority of cases normally seen in a hospital emergency room, without the high cost or long wait times. No appointment necessary. Directed by experienced ER-trained physicians, our Middle Tennessee clinics treat a variety of illnesses from colds, allergies and infections to bronchitis and pneumonia. We can also handle minor trauma; burns and cuts; insect bites; fractures, sprains and dislocations; and work-related injuries. And we offer many types of physical exams, including sports physicals. On-site X-ray capabilities, labs and procedure rooms allow Physicians Urgent Care to treat many conditions that most doctor’s offices and other clinics cannot. 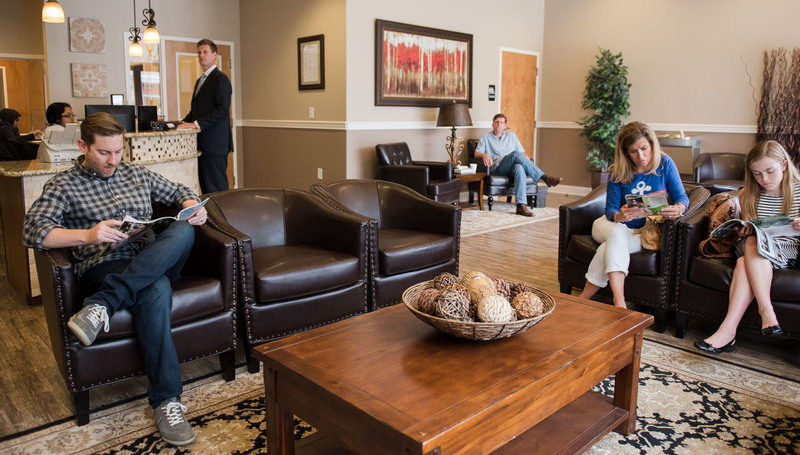 Our clinics look more like living rooms than doctor’s offices, with free snacks and bottled water. Family care includes a colorful pediatric room with toys and books and low seating to make children feel more at home. And our convenient hours accommodate evening and weekend illnesses and injuries.